Scotland has been relatively mild lately. I'm a bit confused by it to be honest, but hey, I'm not complaining. It has, however, been raining almost every day. I love the rain, but I'm actually looking forward to a bit of sun and warmth. On Friday, I am jetting off to Morocco with a few of my friends for a week of sightseeing, escaping from the chill, and great food. After that, we're heading over to Turkey. I cannot even begin to tell you how excited I am to travel! I haven't traveled quite as much as I would have liked since I've been in the UK, so now is my opportunity to really explore. It is the off-season in both Marrakech and Istanbul, which will actually be nice. Fewer tourists. Cheaper accommodation. No sticky, smothering heat. Maybe I should always travel in the winter? Anyway, I will definitely be snooping around for delicious things in Marrakech and Istanbul, and I will be sure to report back to you. I wanted to leave you with a little something to do before I left though. I got a few different types of flour for Christmas- an Italian flour good for ciabatta and other airy breads, a French flour good for baguettes, and an Irish flour good for hearty breads. 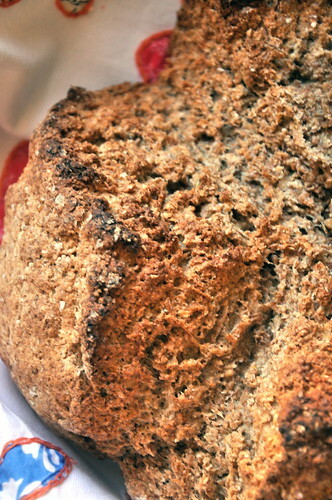 I saw no better use to put the Irish flour to than a good, simple brown bread. 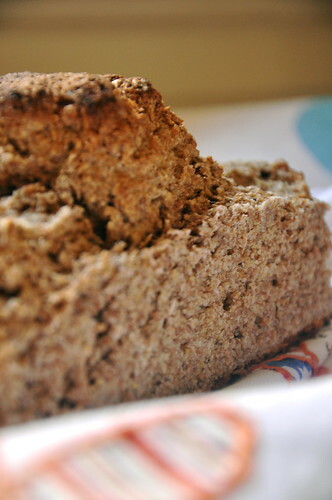 Nothing makes me happier than a slice of slightly sweet brown bread, warm and filling. Add a little knob of butter spread haphazardly over the top and I'm in heaven. This one is not as sweet as some you'll find. Also, it is a bare bones recipe. It doesn't add raisins or seeds or anything else. Do feel free to embellish it if you're feeling adventurous though. 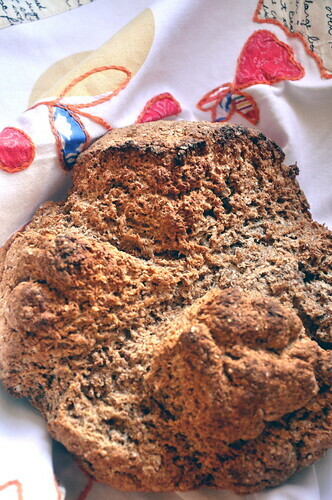 Go on, make a loaf. We can pretend you're here in Scotland with me! Preheat the oven to 400 degrees. In a large bowl, whisk together flour, sugar, salt, baking soda, and baking powder. Make a well in the dry ingredients and pour in the buttermilk and melted butter. Stir together until blended--some lumps will remain. Turn dough onto floured board and knead about 10 times or until it all holds together. 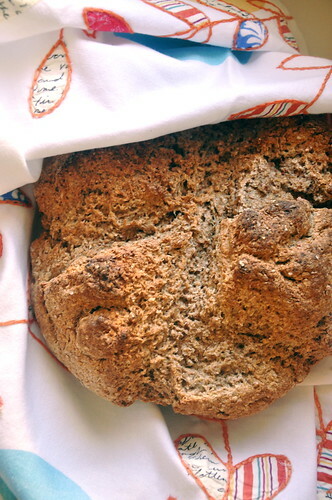 Form it into a large ball and place on lightly greased baking sheet. Cut deep cross on top. Bake for 40 minutes or until cake tester inserted in the center comes out clean. Looks like a great blog! Are you studying abroad? I just got back from 4 months of study abroad in Paris. Hope you keep enjoying yourself! thank you so much! I am actually studying in St Andrews permanently, and I love it. so glad to hear you like the blog! !